This scenario is based on Scenario 2. 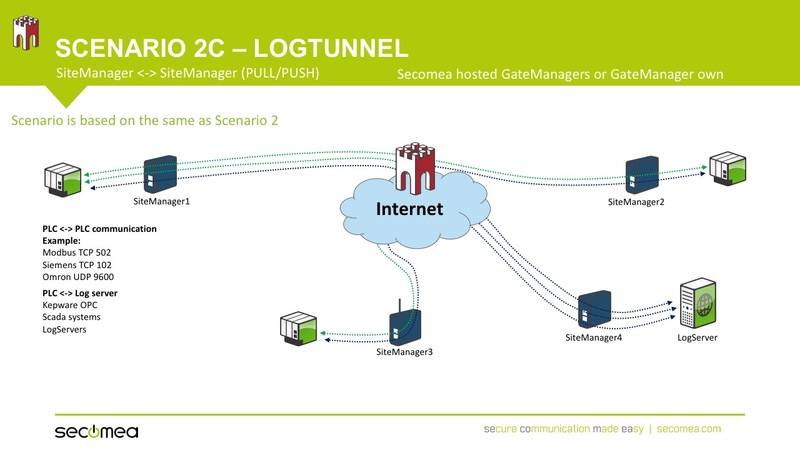 It is possible to do LogTunnel to multiple endpoints. Clients can push data to a Log Server while simultaneously exchanging data PLCs inbetween.